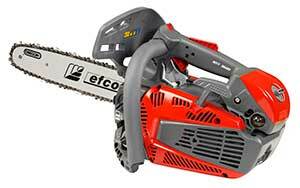 Efco Outdoor Power Equipment unveiled the MTT 3600 top handle chain saw, featuring a 2-stroke engine that delivers 35.4 cubic centimeters/2 hp. The MTT 3600 includes the Always On ignition switch that returns to the “on” position after each stop and an Easy On starting system for smooth and quick starts. Additionally, the MTT 3600 features an on-board clutch for quick fitting of the bar and chain, a snap hook for easy attachment and an adjustable aluminum oil pump for optimal lubrication. Additional features include a nylon air filter for increased air intake efficiency and an air purge for cold starts. The saw is available in bar sizes of 12 inches, 14 inches and 16 inches.